Avocado Toast has become my favorite breakfast meals but can be eaten anytime. I keep mine simple but you can literally go crazy with all the possibilities. My recipe is so simple that I’m not even sure you can call it a recipe. Want to know more about avocados, how to choose a ripe one (hint peeking under the stem helps), how to keep half of one ripe and how to cut it open? Keep reading. Avocados are a fruit native to the Caribbean, Mexico, South and Central America. Each fruit contains 10 grams of fiber and is packed with potassium. The creamy green fruit also provides Vitamin C, A, B6, copper, iron, magnesium and pantothenic acid, which helps your body convert food into energy. There are many types of avocados on the market but my favorite is the Haas. All Haas avocado trees are descended from a single “mother tree” planted by Rudolph Haas in 1926 in La Habra Heights, California. When purchasing an avocado make sure it is ripe. It should be soft when you squeeze it but not so soft one squeeze and you have just made guacamole. Here’s a great chart that shows stages of ripening. When I’m shopping for a ripe avocado I always look under the stem. See here just how to do that. If it is not ripe when you purchase it place it in a paper bag for a few days. When you cut an avocado, it will discolor fast. It avoid this, squeeze it with a little lime juice. To keep half of an avocado fresh I keep the pit in the half I’m saving and place it into a sealed container with uncooked rice at the bottom. Works great! To pit an avocado, use a sharp knife and cut around the avocado in half lengthwise creating a circle. You will feel your knife run around the pit. Twist the halves in opposite direction and they will part. One side will be left with the pit. Cleave your knife blade into the pit and twist the seed, it will pop out. Be careful as you remove the pit from your knife. While still gripping the knife with the pit I use my thumb holding the knife to slide it off. You can also slide the blade on the edge of a bowl to knock it off. To dice the avocado, make a crosshatch pattern through the avocado being careful to not penetrate the skin. Then you can scoop out the cubes with a tablespoon. To mash, use a fork or a potato masher. You can also use my favorite guacamole tool. 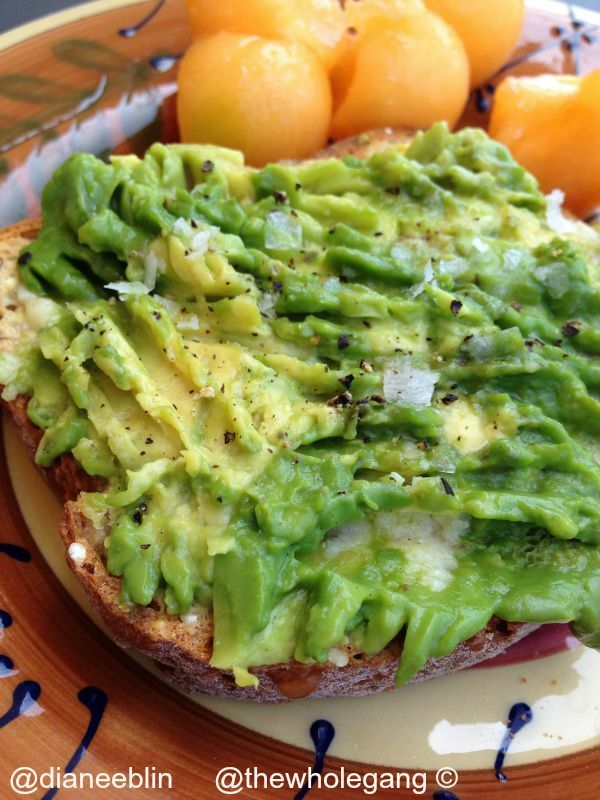 What’s your favorite way to enjoy avocados?